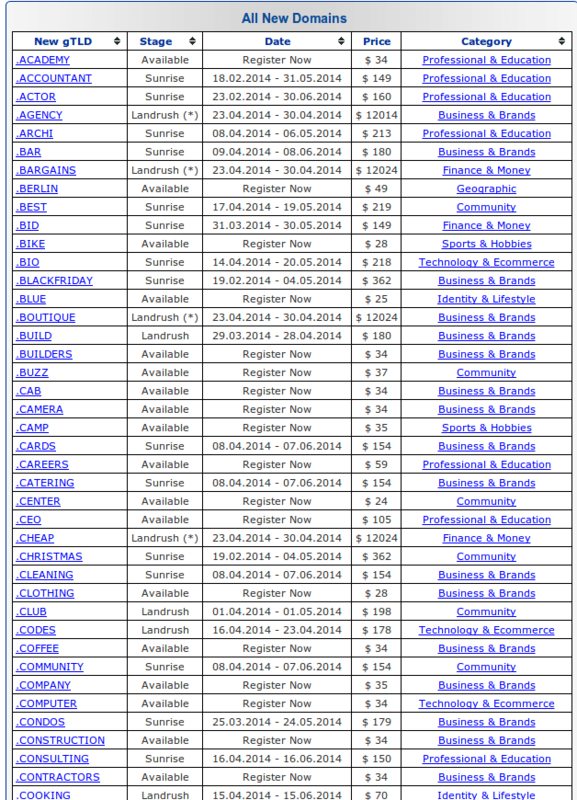 There are approximately 1,500 generic Top Level domain (gTLD) being release between year 2013 to 2015. Here are subset of the new extension along with their registration price. .CHEAP and .ZONE are price at $12024 a year !! Insanely expensive.